ABC Transporters and Cancer provides invaluable information on the exciting and fast-moving field of cancer research. Here, outstanding and original reviews are presented on a variety of topics. 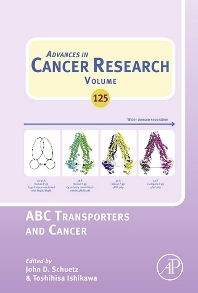 This volume covers ABC transporters and cancer, and is suitable for researchers and students alike. Dr. Toshihisa Ishikawa obtained the Ph.D. degree at the Graduate School of Science (Major: Biochemistry and Biophysics), Hokkaido University Japan in 1982. In the same year, he received a scholarship from the Deutscher Akademischer Austauschdienst (DAAD) and then moved to Germany. From 1982 till 1987, he was a postdoctoral fellow at the Institute of Physiological Chemistry (Prof. Helmut Sies) at the University of Düsseldorf Faculty of Medicine in Düsseldorf, West Germany. In April 1987, he returned to Japan to be appointed as Assistant Biochemist in the Department of Biochemistry, Medical School of Osaka University, Japan. In 1989, he went to Germany again to take the role of project leader in the Department of Tumor Biochemistry at the German Cancer Research Institute (DKFZ), Heidelberg. In 1991, Dr. Ishikawa left Germany for the USA, having been appointed as Assistant Professor in the Division of Pediatrics at the University of Texas M.D. Anderson Cancer Center in Houston, Texas, U.S.A. In 1993, he received the Achievement Award of the International Life Sciences Institute. In December 1995, he was appointed Senior Scientist and Manager in the Department of Medicinal Biology at the Nagoya Central Research Laboratories of Pfizer, Inc., in Japan; and thereafter he became the Director of the Department of Research Technology Development at the Japanese Headquarters of Pfizer, Inc., in Tokyo, 1999. From 2000 till 2009, Dr. Ishikawa was Professor iat the Graduate School of Bioscience and Biotechnology, Tokyo Institute of Technology, Japan. In 2009, he moved to RIKEN Yokohama Institute to develop a rapid SNP detection method and to apply it to clinical pharmacogenomic research on human drug transporter genes. From 2012, he was also Professor (adjunct) at Yokohama City University Graduate School of Medicine, where he developed a platform of personalized medicine. In 2014, he founded NGO “Personalized Medicine & Healthcare” (President, Dr. Ishikawa). In addition Dr. Ishikawa has recently become Professor (adjunct) of Osaka Medical College, and he is directing a clinical research program of ALA-photodynamic therapy of brain tumor. Dr. Ishikawa was a member of the International Nomenclature Committee for Human ABC Transporter Genes. 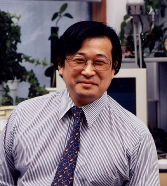 He directed the NEDO project entitled “International standardization of in-vitro functional assay methods for human drug transporters” (2005 - 2008). He then served as a member of the Steering Committee of the FDA Critical Path Transporter Workshop (2008). Presently, Dr. Ishikawa is a member of the Emerging Issues Steering Committee of the ILSI Health and Environmental Sciences Institute (Washington DC, USA) and the International Transporter Consortium (ITC). As Chair, Dr. Ishikawa will organize the Gordon Research Conference on “Multi-Drug Efflux Systems” in Lucca, Italy, April 26-May 1, 2015.